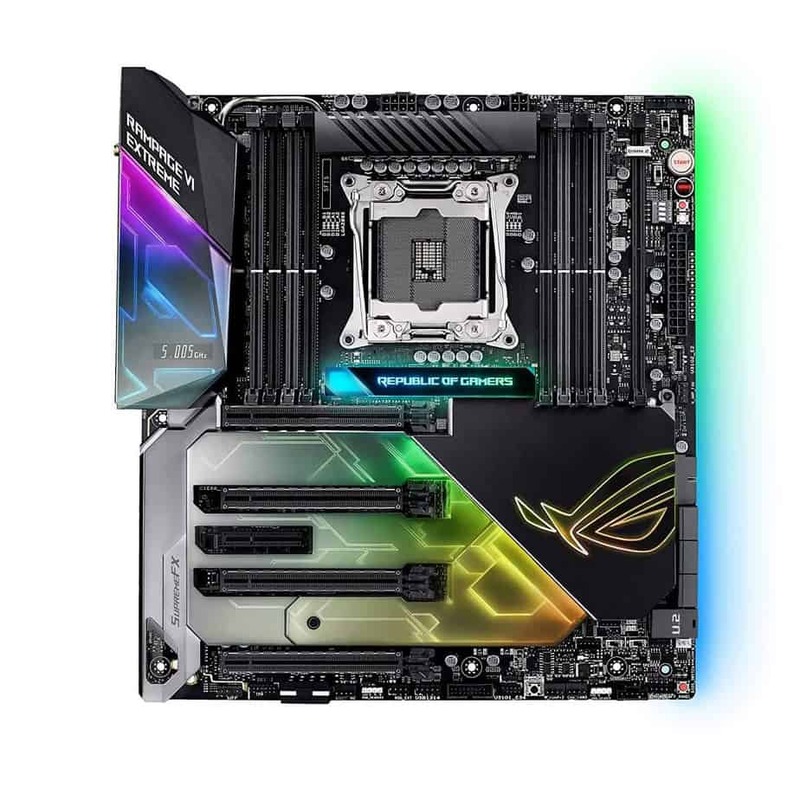 ASUS, ASRock and Gigabyte went all out at the CES 2019 to roll out overly impressive motherboards. These boards will most certainly be talked about all through the year. Here’s a look at the top five motherboards we saw at the Electronics Show held in Las Vegas Nevada this January. Gigabyte announced this motherboard towards the end of 2018. 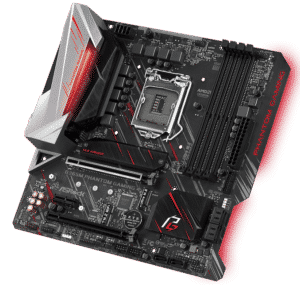 It even made our list of Best Z390 motherboards. Like we said in our review; this is an Extended ATX motherboard with a sleek build, RGB lighting, Thunderbolt 10-gigabit Ethernet. And then it comes with twin BIOS. Furthermore, for this board there’s a heatsink cover, under it you will find three PCI Express M.2 slots. There are many sensors on this board, especially for temperature; then you get eight fan headers plus four headers for RGB light strips. 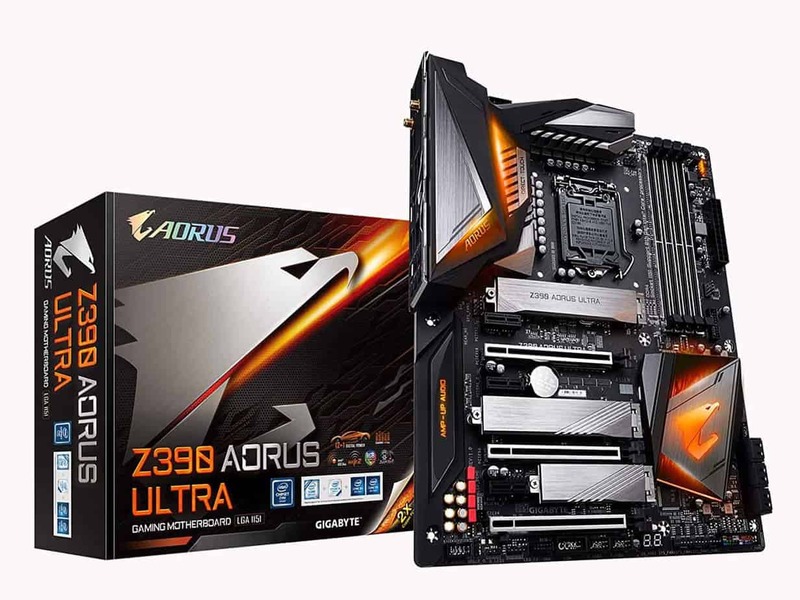 The Z390 Aorus Xtreme comes with built-in Wi-Fi and works with cutting-edge Intel CNVI Z390. Coming from ASRock, this is the smallest AMD Ryzen-perfect motherboard in the market. The ASRock A300M-STX comes with a CPU attachment designed to function fine with chips up to the Ryzen 5 or a maximum of 65 watts. The board comes loaded with a 120W power brick. Measuring 5-inches x 5-inches, the A300M-STX is a Micro-STX board. Because of its small frame, it features just two M.2 PCI Express spaces, at the top and base; these support SSDs with the 2280 form factor. It also comes with two SATA 6 GB/s ports for traditional storage devices. For I/O, the A300M-STX has two SO-DIMM memory slots which support up to DDR4-2933. It has a 4K HDMI display. On the front of the board, look out for two USB 3.1 Type-A and Type-C ports. At the rear, you will find USB 2.0 and USB 3.1 Gen1 Type-A ports. 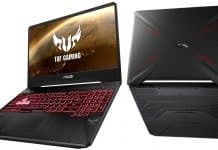 The ASUS ROG Rampage VI Omega was among the high-performance boards unveiled at CES 2019. 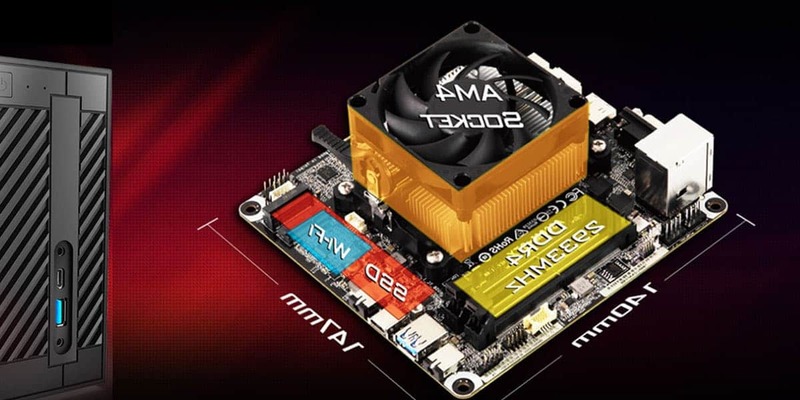 The board features Intel I211AT gigabit NIC, quad M.2, an Aquantia ACQ107 10G NIC, including Wi-Fi and onboard RGB. The lower part of the board is protected with ROG shielding, but there’s a 1.3-inch OLED screen that allows you to monitor your core clock speed. The Rampage VI Omega is a board that performs well with overclocking – it comes with 8-phase power delivery and 16 power stages. For memory, there are eight memory slots with speeds of up to DDR4-3600. You get three PCIe 3.0 slots, USB 3.1 Gen2 with a Type-A and Type-C on the rear panel, and on the front. 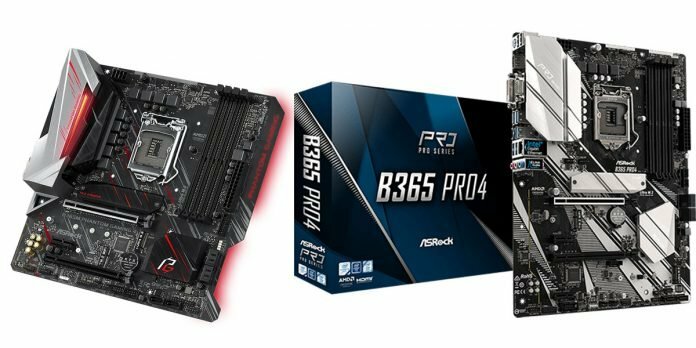 ASRock unveiled two Pro4 motherboard models: the B365 and B365M Pro4. They feature more neutral-looking silver and black design on the PCB and heatsinks. There are four RAM slots which support DDR4-2666. Both ASRock boards come with Realtek ALC892 HD audio codec for onboard audio. It has SATA 6 GB/s ports for traditional storage with dual M.2. The only major drawback with this pair is that they don’t come with integrated RGB LEDs. 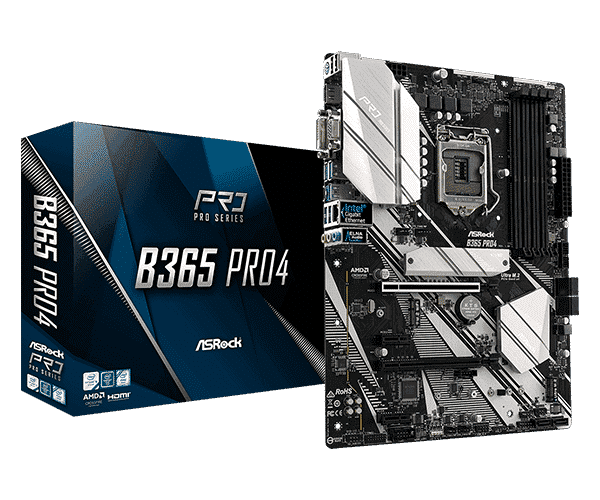 ASRock also launched a couple of Gaming motherboards in the B365 series at CES 2019. These are the B365 and B365M Phantom Gaming 4. These board would appeal to gamers on a low budget. 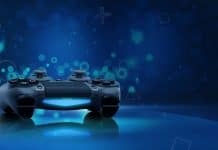 The B365 and B365M Phantom gaming are actually of the lower tier end of 8th and 9th generation chipsets. However, they are of the new gaming range boards featuring Intel’s B365 chipset which debuted in December 2018. The Phantom gaming series come in ATX and micro-ATX form factors. They feature black and silver heatsinks, with black PCB and RGB LEDs integrated into the rear panel; two PCIe 3.0 x16, two PCIe 3.0 x1 and one M.2 Key for WiFi; there’s a 7-inch Audio with Realtek ALC1200 Audio Codec with PCB isolate shielding included. Besides the dual M.2, you also get six SATA ports for storage. 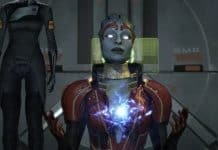 Ostensibly, there are numerous stellar motherboard options for PC builders and gamers who seek high performance and quality. The top motherboards we have here have been generating impressive reviews even from industry experts. We’ll like to know what you think about these boards. What are your thoughts about their aesthetics and specs?